Since the late 1970s, the Cape May County Zoo has welcomed tourists to 57 acres of natural habitat in the southern region of coastal New Jersey. With a free-flight aviary and reptile house, the zoo is also well known for its more than 500 different animals from 250 species. Lisa Jones, director of retail, Columbus Zoo and Aquarium north of Columbus, Ohio. The destination attracts more than 2 million visitors each year. Prosser buys these unique ornaments from Art Studio Company, a company that actually works with craftspeople in India directly. “Art Studio has many different items that are handmade by the local artists in the countries that make them,” she said. In addition to supporting international makers, Prosser also carries tiles that have been made from castings of animal’s footprints right at the zoo. 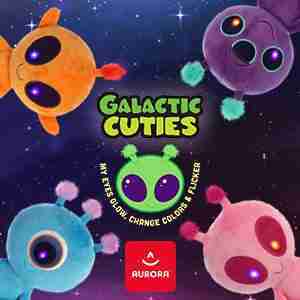 They are particularly popular among guests to this popular tourist region. The Columbus Zoo and Aquarium north of Columbus, Ohio, has come a long way since it first opened in 1927. Today, the destination attracts more than two million visitors each year thanks to its 7,000-plus animals, 18-hole golf course and world-famous conservation program. During the past few years the zoo has donated more than $3 million to important conservation programs in more than 30 countries worldwide. Lisa Jones, director of retail at the Columbus Zoo, said that these international efforts are reflected in the array of retail spaces on site. “We partner with a variety of suppliers around the world who provide us with quality items and share our goals of protecting wildlife through education and conservation,” Jones said. 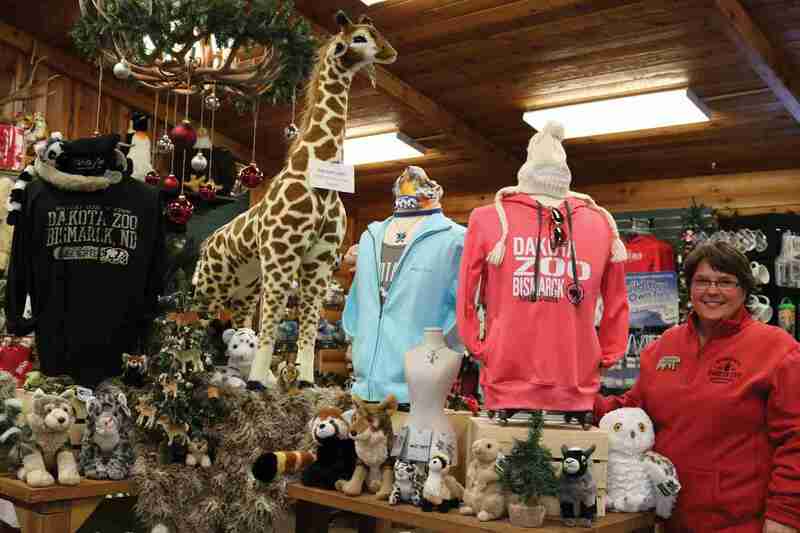 One of the biggest shops, the Zoo Marketplace, features a selection of gifts near the main entrance, though it’s perhaps best known for its Jack Hanna Signature Collection, which is exclusive to the Columbus Zoo. 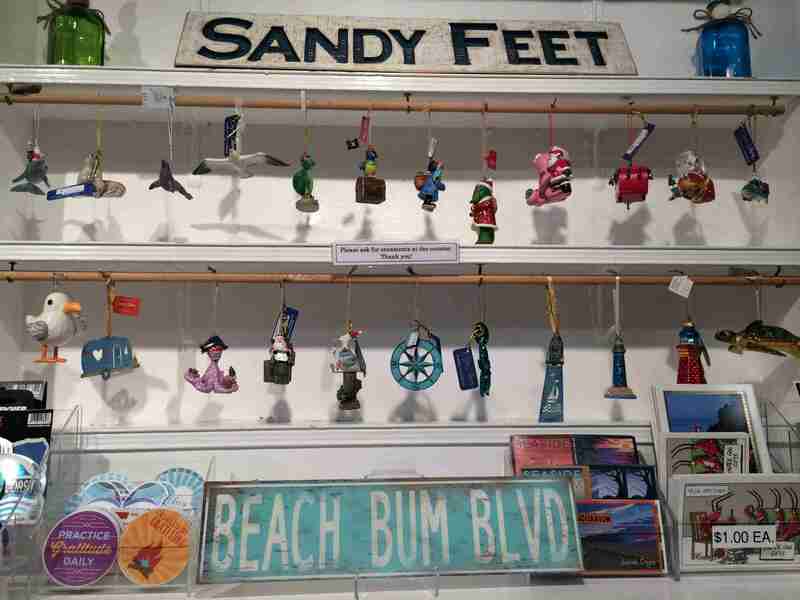 A second gift shop, Stingray Bay Gifts, combines marine life with shopping. Guests are invited to check out the touch pool while shopping for gifts related to all things stingray and sea life-themed. 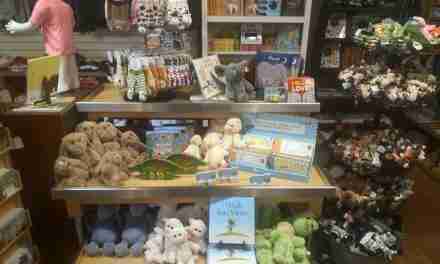 A special Jr. Zookeeper shop is also open near the entry plaza with an assortment of apparel, plush and affordable novelty items geared toward kids. The Yukon Fossils and Gems Company gives guests the chance to pan for their own treasures along with a gift shop featuring items related to gems, crystals and fossils. Small toys, including stuffed snow leopards, at the Columbus Zoo and Aquarium. 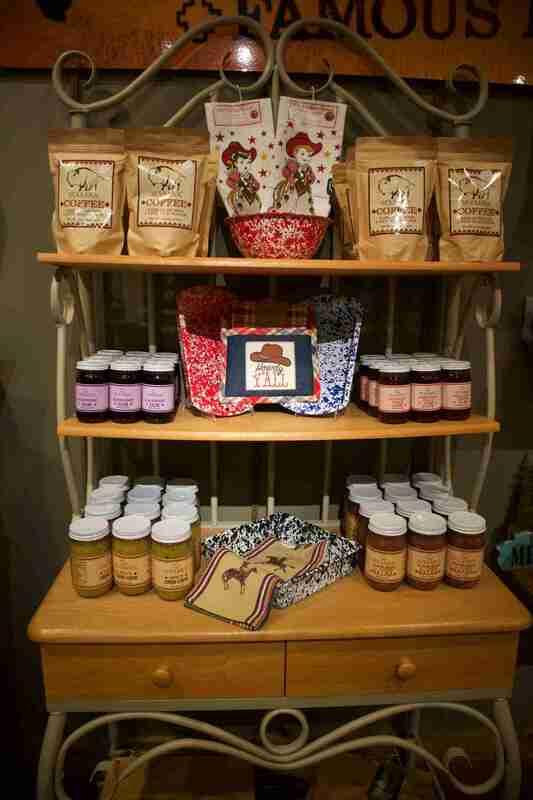 One of the biggest shops, the Zoo Marketplace, features a selection of gifts near the main entrance. 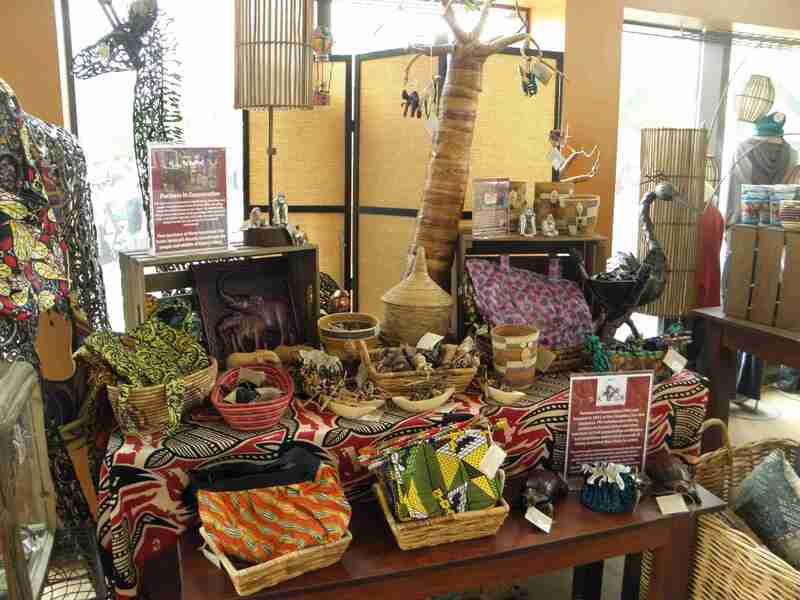 Two other shops, the Mermaid’s Purse and Mudiwa Village Gifts, specialize in aquatic-themed merchandise and eco-friendly jewelry, décor and art from African craftspeople, respectively. It’s at the Mudiwa where most of the zoo’s most interesting international gifts can be found, all housed within an open-air market designed to replicate the humble wooden structures one might see in an African village. “We actually have our own group, Partners in Conservation (PIC), founded here at the Columbus Zoo and Aquarium in 1991,” said Jones. “PIC helps local Central African populations better their lives by attempting to eliminate poaching and deforestation that typically lead families to lives of poverty. Purchasing hand-made items by local artisans, we help conserve vulnerable wildlife in these areas.” Some of the beautiful items that can be purchased at the zoo to support this incredible effort include hand-woven baskets, fabric dolls, carved wood animals and ornaments. 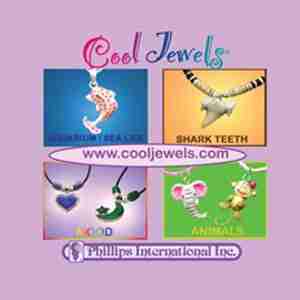 Other international items that sell well include Tagua nut carvings and jewelry, clove and cinnamon ornaments, repurposed flip flops made into animal figurines, paper bead jewelry and birds carved from seedpods. She said she likes working with a variety of different vendors, particularly when the merchandise is tied to animal conservation and eco-conscious efforts. “I’m happy to work with mission-driven companies and provide our guests with gifts they can feel good about purchasing,” she said. The Columbus Zoo and Aquarium houses 7,000-plus animals, offers an 18-hole golf course and is home to a world-famous conservation program. 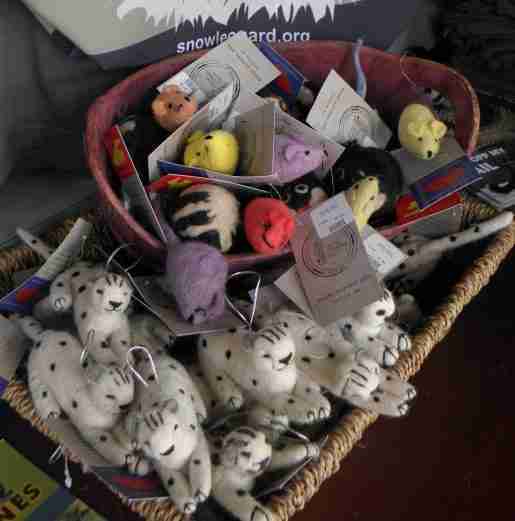 Shown is a merchandise display at a zoo store. 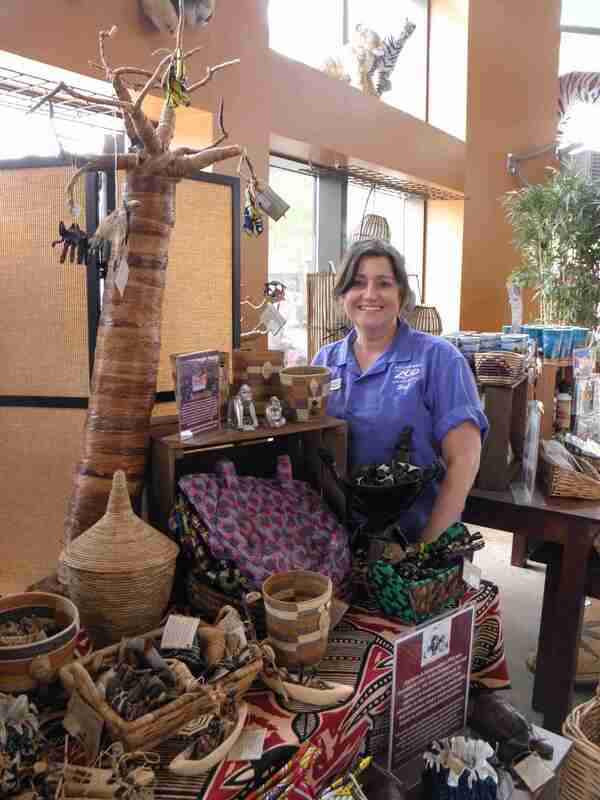 At the Seneca Park Zoo Society gift shop in Rochester, N.Y., proceeds from sales benefit the zoo and the craftspeople that make many of these Fairtrade gifts. 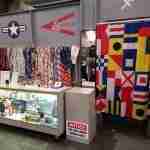 ZooShop, as it’s called, is stocked wall to wall with plush, apparel and great gift items, including jewelry and home décor. Many of the international items are certified as Fairtrade, which means they’re created by makers that are paid living wages that ultimately help support individuals and communities globally. For example, the shop sells decorative plates, beaded bracelets and necklaces from Kenya, as well as small plush animals, heart-shaped jewelry and trinket holders. Kids really enjoy the tambourines while adults have made the hand-painted Indian shoulder bags quite popular. Other merchandise with international roots spans categories ranging from décor to tableware, including felt birdhouses from Nepal and India, hand-woven baskets from Bangladesh and Ghana, and even salad tongs from the Philippines.